The 27th century: Proxima Centauri, an undistinguished red dwarf star, is the nearest star to our sun - and (in this fiction), the nearest to host a world, Proxima IV, habitable by humans. But Proxima IV is unlike Earth in many ways. Huddling close to the warmth, orbiting in weeks, it keeps one face to its parent star at all times. The 'substellar point', with the star forever overhead, is a blasted desert, and the 'antistellar point' on the far side is under an ice cap in perpetual darkness. How would it be to live on such a world? Needle ships fall from Proxima IV's sky. Yuri Jones, with 1000 others, is about to find out...PROXIMA tells the amazing tale of how we colonise a harsh new eden, and the secret we find there that will change our role in the Universe for ever." 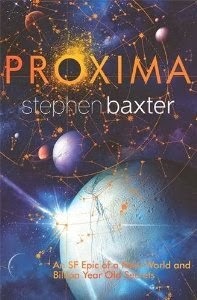 Proxima has a lot going for itself and while it does not fully succeed in its ambitious goal of integrating three classic but usually disparate sfnal story-lines, so being overall less the sum of its parts, the parts themselves attain true magnificence on occasion and the book is worth reading for sure; not to speak of the sequel (Ultima) that the sort-of cliffhanger ending requires. As others noted, the blurb is quite inaccurate - even the name of the main human character is wrong as he is known as Yuri Eden, while his real name is implied in the end pages - so as a quick summary, I would say that Proxima combines bare-bones (little tech, short, nasty, brutish lives) colonization of a strange planet - this part is the best but ultimately it is a little irrelevant in the big picture - with humanity encountering mysterious and ultra-powerful artifacts that may give it the stars but at a cost and with grave danger - this part will be most likely the most relevant in the next book - and finally power struggles, politics, conspiracies and standard near-future stuff - this part kind of resolves itself at the end. Overall, ambition and some awesome stuff in various parts of the novel overcome the major shortcoming of the whole being less than the sum of its parts and the feeling of forced stitching of sf tropes that do not really work together and as mentioned, that issue solves itself logically by pushing one trope to front and leaving the rest as "done". "It is a thousand years in the future. Mankind is making its way out into the universe on massive generation ships. On the Steel Breeze is the follow-up to Blue Remembered Earth. It is both a sequel and a standalone novel, which just happens to be set in the same universe and revolves around members of the Akinya family. The central character, Chiku, is totally new, although she is closely related to characters in the first book. 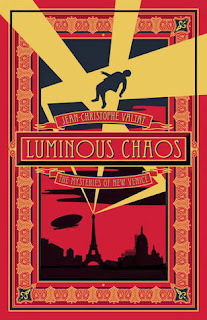 The action involves a 220-year expedition to an extrasolar planet aboard a caravan of huge iceteroid 'holoships', the tension between human and artificial intelligence ... and, of course, elephants." On the Steel Breeze is quite disappointing - one of the few A Reynolds novels that bored me to no end except for the last 50 or so pages which were excellent and a return to form; the novelty from Blue Remembered Earth is gone, the storyline(s) are very drawn out boring almost to the end with the standard "abundant technological future" tropes where all conflict is kind of made up rather than real, the characters live very long lives that are not really reflected in the page by the author as they act like regular humans of today with aging a counting matter but not really a life-changing experience one etc. There is very little sense of the external - again, the bland future makes it hard to go into details as I've seen this repeated in similar works like 2312 - and the characters are not that interesting or engaging as that was never the author's forte anyway. Still ambitious and with enough stuff and a great ending to make it passable but not among the author's best. 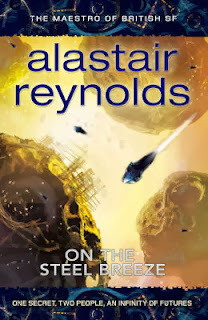 Not sure I will bother to read the last installment - maybe I will take a look when I see a copy - and I hope Mr. Reynolds goes back to writing the sense of wonder sf he showed so magnificently in the Revelation Space sequence or in his short stories. I tried to make my belief diamagnetic too and let it float on the air too for but sadly there was a point where with all the magic in the book and my disbelief just couldn't be suspended any more.